Sweden have released newly tooled HEAD RESTS with improved quality. 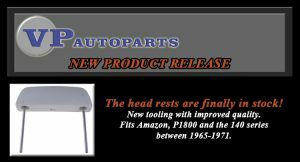 The HEAD RESTS fit Volvo Amazon, P1800 and the 144 (between years 1965 and 1971). 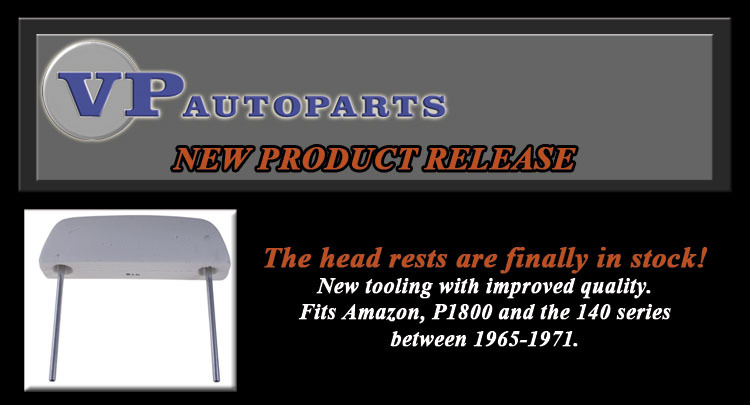 Fitting Kits also available for cars that do not have head rests. Contact Gerry at VOLVO DOWNUNDER SPARES to order your Head Rests now.